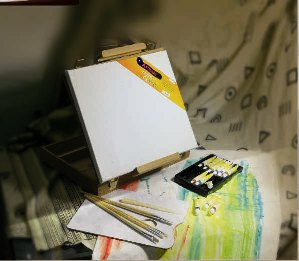 Grab this great value in a table easel & acrylic essentials all-in-one kit. We know that budgets are a concern for many of our artist customers. That’s why we’re always searching for great deals that don’t compromise on quality. One of our most popular lines is the Deluxe Artist Sets that have great price points. These include an easel and many accessories you won’t find in other kits. Treat yourself or your favorite artist. Our kits are great for gifts or taking on a creative jaunt.